Building on lessons learned from previous ocean color studies, a team of dedicated people is bringing PACE to life. PACE will face a series of important milestones during its mission development. The Development Team at Goddard Space Flight Center (GSFC) will guide PACE through each phase as the instruments, spacecraft, and observatory are built, tested, and flown. GSFC is responsible for the principal mission elements, including the design and fabrication of the spacecraft, development of scientific instrumentation. 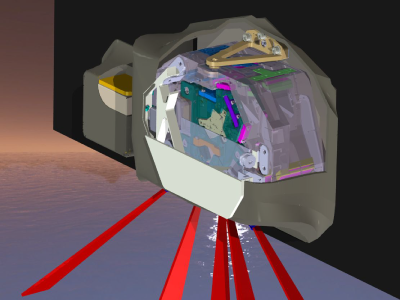 PACE will include two polarimeters. Such instruments are used to measure how the oscillation of sunlight within a geometric plane - known as its polarization - is changed by passing through clouds, aerosols, and the ocean. 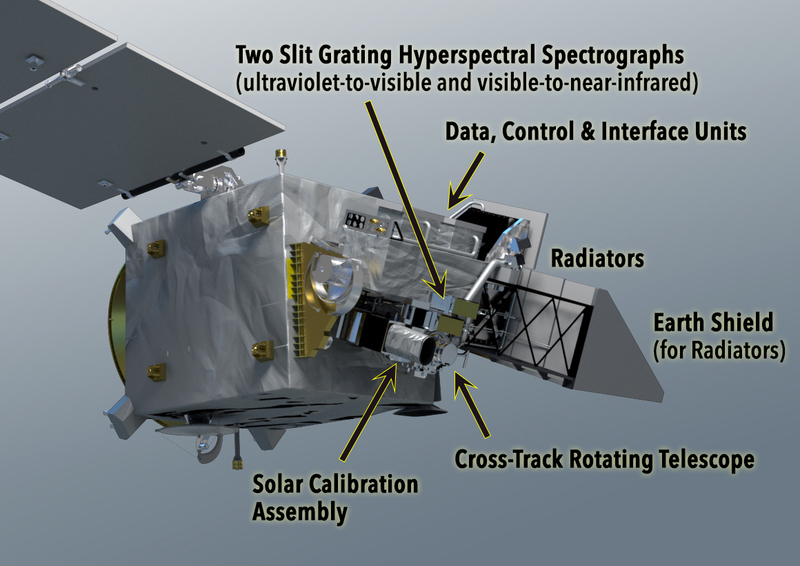 The polarimeters onboard the PACE observatory are the Spectro-polarimeter for Planetary Exploration (SPEXone) and the Hyper Angular Research Polarimeter (HARP2). They will be contributed by a consortium based in the Netherlands and University of Maryland Baltimore County, respectively. Together, SPEXone and HARP2 will meet the PACE mission's needs by providing complementary spectral and angular sampling, polarimetric accuracy, and spatial coverage (see table below). 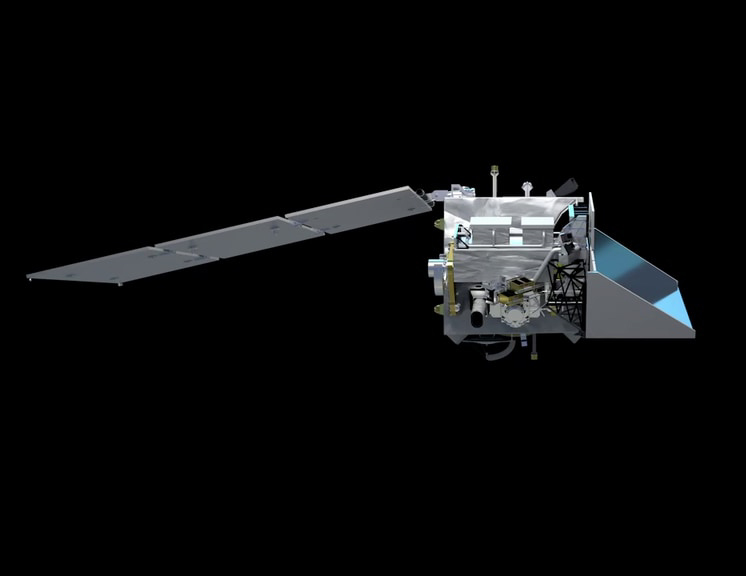 They will provide opportunities for improved OCI atmospheric correction, as well as a comprehensive range of aerosol and cloud science data products beyond what could be accomplished by the OCI alone. 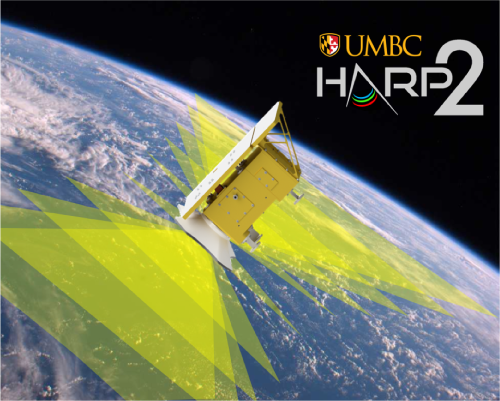 Thus, the synergistic payload of the OCI, SPEXone, and HARP2 will be poised to make significant breakthroughs in aerosol-cloud-ocean research. Click image to view movie. Credit: NASA Scientific Visualization Studio. In July 2017, the mission entered Phase B, Preliminary Design & Technology Completion, with an expected launch readiness date of 2022. Earth surface spatial resolution at nadir of 1 kilometer2 (0.4 miles2) or better for all science bands. Nominal spacecraft altitude is 676.5 kilometers (420 miles) with an inclination of 98°. 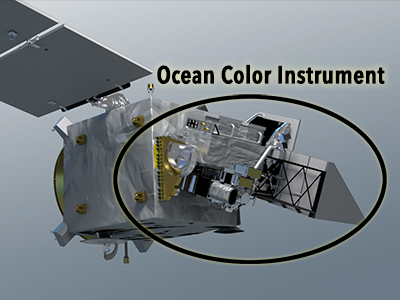 OCI will have 2-day global coverage at 60° instrument view angle. 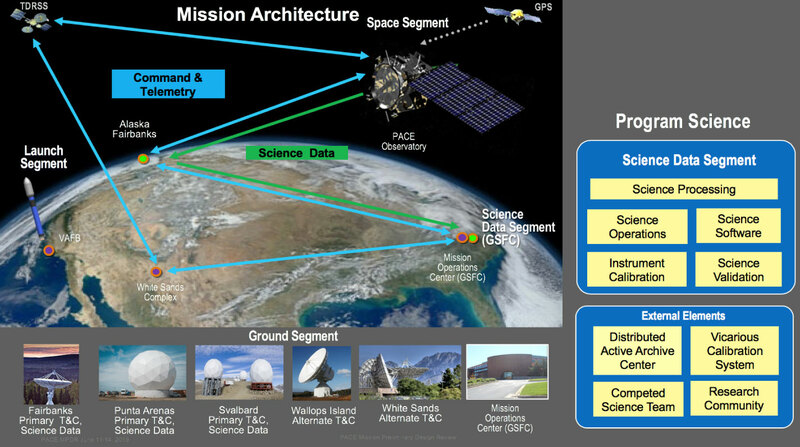 Downlink and storage of the complete 5-nanometer resolution data from spacecraft to ground at 600 Mbps. 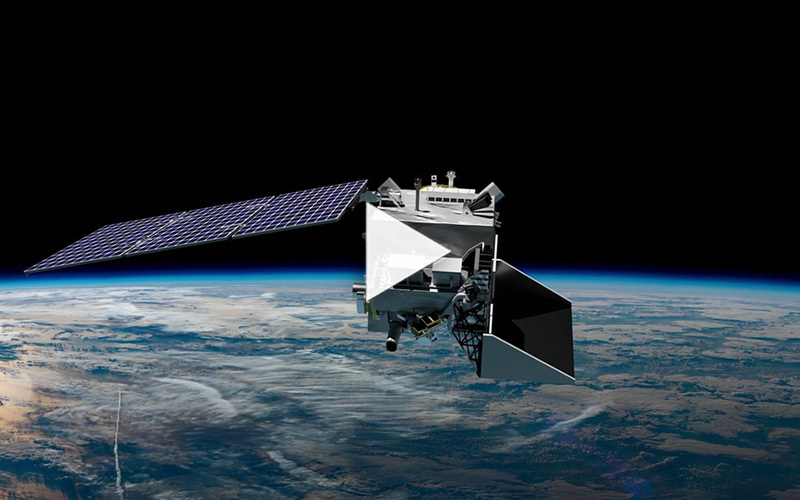 The PACE spacecraft will store information collected over 7 orbits, totaling about 1.7 terabytes (1.7x1012 bytes) of data. 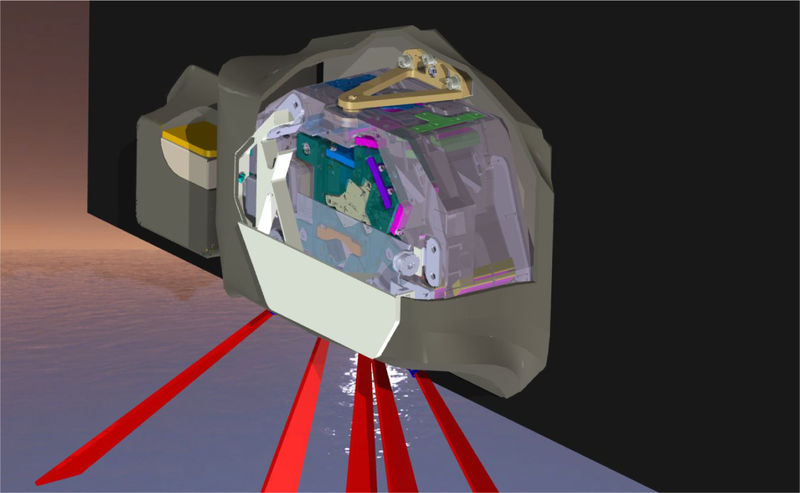 Monthly characterization of instrument detector and optical component changes using lunar observations through the Earth-viewing port that illuminate all science detector elements. Daily solar calibrations. PACE is being implemented as a NASA Class C mission with a notional launch date in the 2022-2023 timeframe and a minimum mission duration of three years, with orbit maintenance capabilities for 10 years. 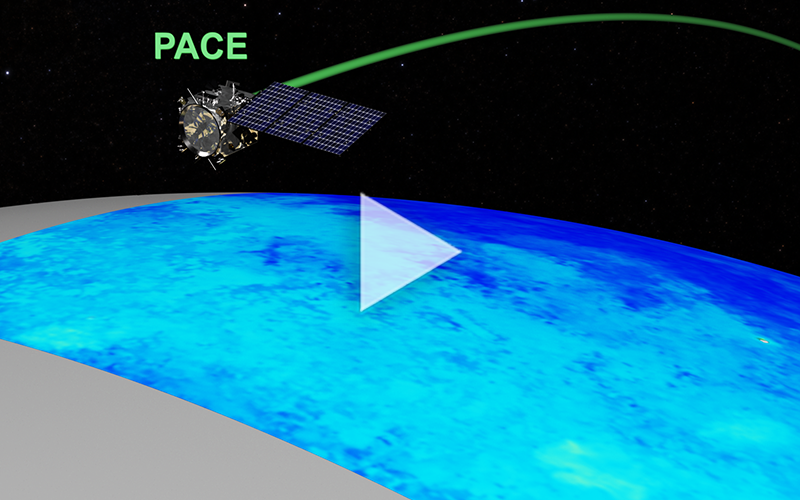 PACE is designed as a design-to-cost mission, meaning that it has a fixed budget cap.